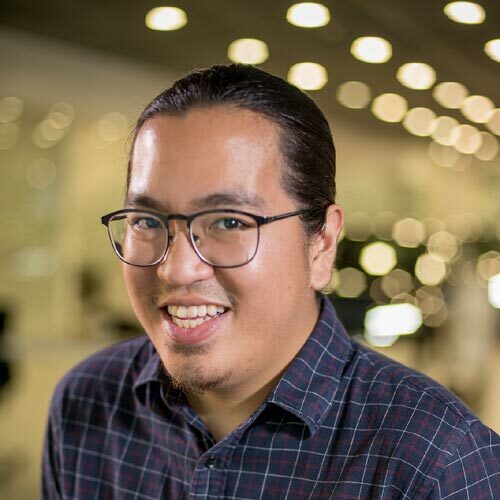 Fiat Chrysler Automobiles (FCA), under which big name automakers such as Jeep, Dodge and Chrysler are subsidiaries, had a ton going for it entering SEMA 2016. 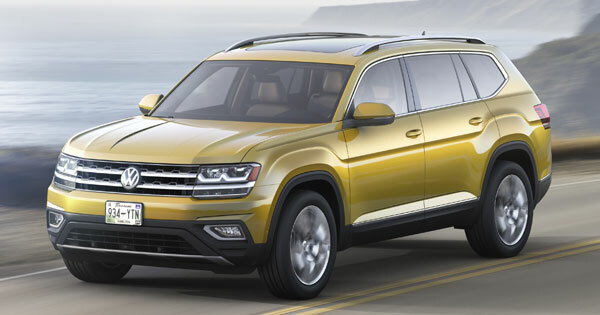 The company had a strong showing from the previous year, and its diverse lineup of vehicles continues to be ripe with aftermarket possibilities. Of course, this didn't mean that the brand wouldn't have its work cut out this year—especially seeing what the competition was able to whip up. Thankfully for FCA, it had a prominent name in the aftermarket scene under its wing as well: Mopar. 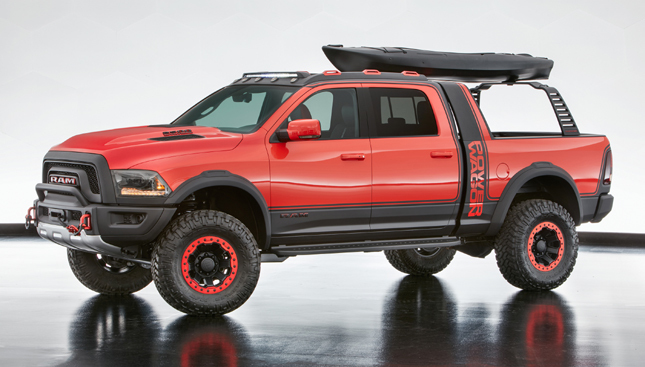 FCA and Mopar are currently showing off six customized vehicles at SEMA 2016. The most impressive of which has to be the Jeep CJ66. The one-of-a-kind Jeep is a mashup of three different models: a Jeep Wrangler TJ frame, 1966 Jeep Wrangler CJ body, and a few bits of the Wrangler JK here and there. It features Mopar Dana 44 front and rear axles for better off-road performance, as well as monstrous 35-inch all-terrain tires. And in that Copper Canyon (frankly, we would've settled for a simple "orange") hue? It's attractive as hell. Next up is the Ram Macho Power Wagon, a tribute to the company's heavy-duty pickups of old. With gigantic 37-inch Nitto Trail Grappler MT tires and 18-inch wheels, it's hard to imagine the company thinking of any other name for it. What's more, the vehicle's storage is equally impressive, thanks to a sliding RamRack roof system. Other add-ons include off-road running boards, an LED light bar and clearance lights, bright silver skid plates, and an eye-catching Mango color finish. 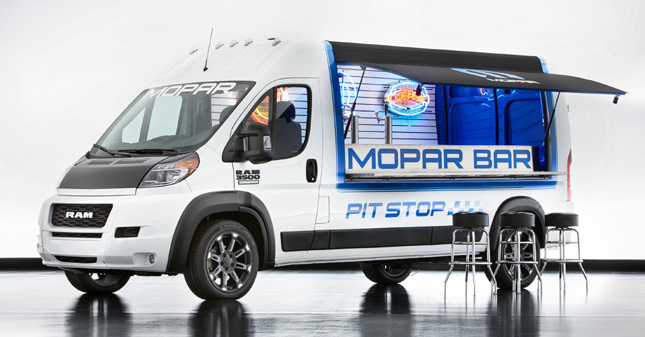 Our local food trucks have nothing on the company's party on wheels, the RAM ProMaster Pit Stop. 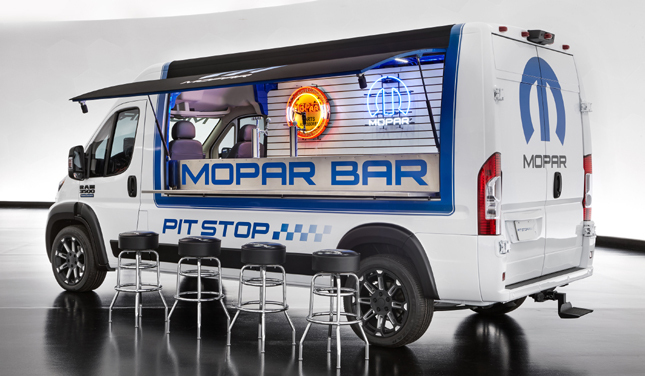 A drop-down bar counter opens out from the side, and its cargo area has been modified with keg refrigeration capacity to serve drinks via a Mopar T-handle, a cue ball and pistol grip taps. This one runs on 20-inch Satin Black wheels and comes wrapped in checkered flag Pit Stop graphics. 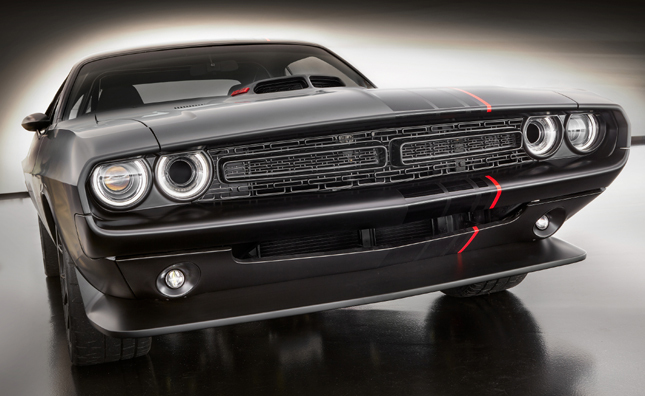 If muscle cars are your thing, FCA also brought out a souped-up Challenger for SEMA 2016. The Dodge Shakedown Challenger puts out 485hp via a six-speed Viper Tremec T6060 transmission and shows off a custom lowered front and rear suspension. It runs on 19- and 20-inch SRT Hellcat wheels, a hand-built one-off frame, and a Bitchin Black paint job. 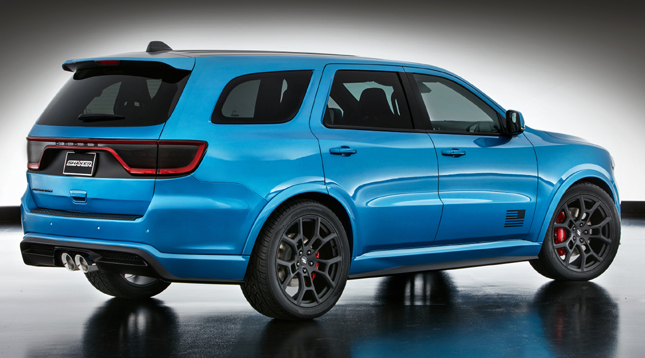 The ultra-aggressive-looking Dodge Durango Shaker, meanwhile, gets a custom-fabricated Shaker hood, a 3-inch lowering kit, 22-inch Mopar wheels, custom fender flares, central exhaust, an aerodynamic chin splitter, and an open grille design for improved airflow. 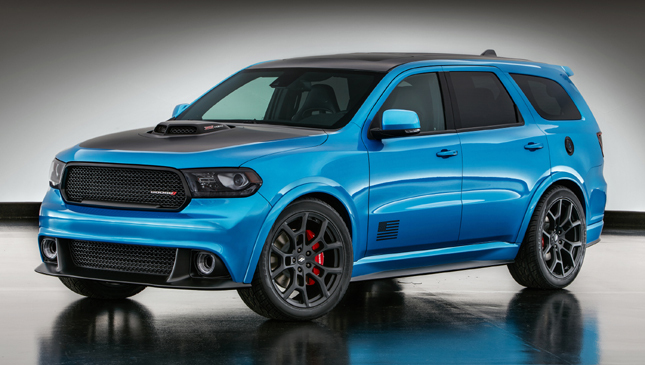 The Shaker is powered by a 6.4-liter HEMI engine mated to an eight-speed AT, and comes in a cool B5 Blue finish. 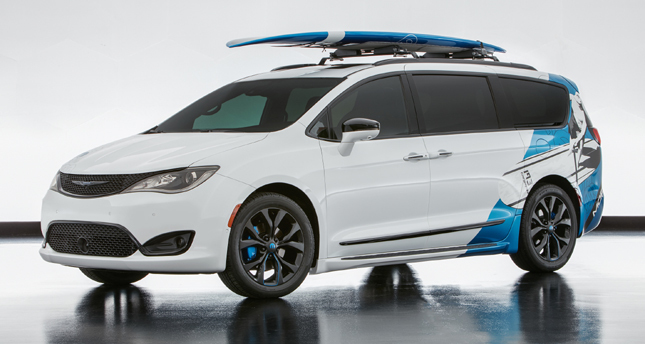 Capping things off is the Chrysler Pacifica Cadence concept. 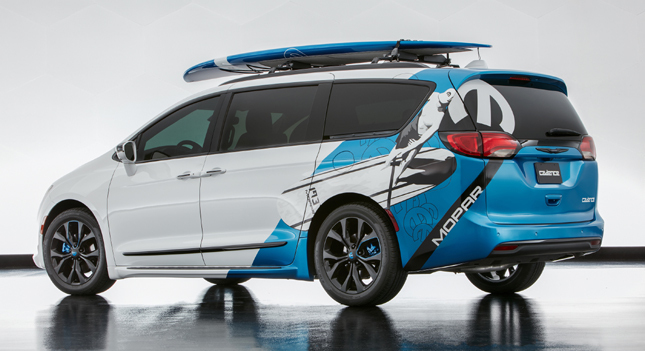 Mopar fitted the family vehicle with 20-inch tri-color wheels, a Thule surfboard carrier, Blue "Omega M" logo, a ton of interior cargo options, and even a pet kennel for the family pet—effectively transforming a mundane mommy van into a fun road trip companion. It's not exactly a mind-blowing customization, but still pretty neat. These are just several of the company's 14-strong Mopar-modified lineup present at the SEMA show in Las Vegas, Nevada. 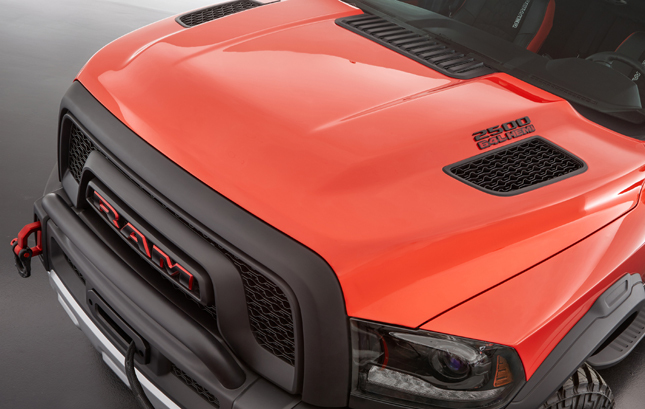 No doubt this is just a small preview of FCA's and Mopar's vast aftermarket potential.